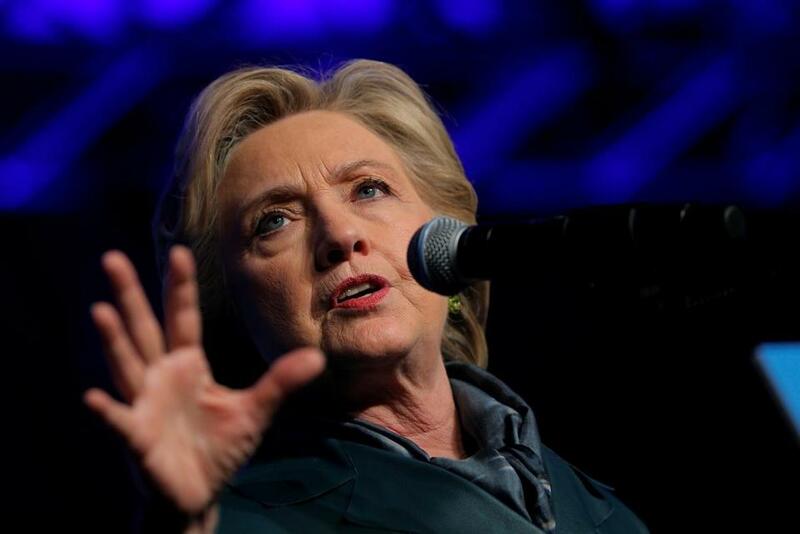 Less than five weeks until Election Day, a survey released Thursday has found that Hillary Clinton’s lead over Donald Trump has collapsed in the swing state of New Hampshire. The Suffolk University/Boston Globe poll of likely New Hampshire voters earlier this week found Clinton with a slim lead over Trump, 44 percent to 42 percent. That’s well within the survey’s margin of error of 4.4 percent. The poll also showed Republican Senator Kelly Ayotte leading her challenger, Governor Maggie Hassan, a Democrat, 47 percent to 41 percent, in a race being highly watched because it might help decide the make up of the US Senate. To date, Trump has never led a general election poll in the Granite State. In the last two months, Clinton has maintained a 6 percentage pointadvantage in state polls, according to an average calculated by RealClearPolitics. In those same polls, Libertarian nominee Gary Johnson received support, on average, from nearly 13 percent, making New Hampshire his second- strongest state next to his home state of New Mexico. But the new Suffolk/Globe survey found that Johnson’s support has dropped to 5-percent of voters polled after a number of foreign policy gaffes and his exclusion from the first presidential debate. Less than five weeks until Election Day, Hillary Clinton’s lead over Donald Trump has disintegrated in the Granite State. Nearly 7 percent of survey respondents said they were undecided about the presidential race. The findings in New Hampshire run counter to the momentum Clinton has in other battleground states, particularly after the first presidential debate last week. In surveys of the 11 most closely watched swing states, Clinton was ahead of Trump in nine of them. Clinton trails Trump in most polls of two other swing states, Iowa and Ohio. In New Hampshire, Clinton’s margin — albeit now slim — is notable given the six-point lead of a Republican on the state’s ticket: Senator Ayotte. The poll was performed on Monday to Wednesday this week, surveying voters before and after the US Senate debate earlier this week during which Ayotte said “absolutely” Trump is a role model for her children. Hours later, Ayotte said she misspoke. In any case, the poll did not show any erosion of support for Ayotte following her comment. But Hassan’s campaign will begin airing a one minute-long television advertisement Friday that highlights her debate mishap. Ayotte has an uncomfortable relationship with Trump’s spot on top of the ticket. She has said she will vote for him, but she has repeatedly declined to endorse him. The poll also showed some Republicans could split their tickets, such as Gene Nelson, from Bedford, a lifelong GOP voter who remains undecided. He is considering voting for Clinton — the first time he would ever vote for a Democrat for president. In the race to succeed Hassan as governor of New Hampshire, Republican Chris Sununu leads Democrat Colin Van Ostern, 40 percent to 36 percent — a lead that is just within the poll’s margin of error. Twenty percent of survey respondents said they remain undecided about the gubernatorial race, which has had a relatively low profile compared with the two other major statewide contests in New Hampshire. Underlying these numbers are two ways New Hampshire voters see the election. Among the 64 percent of likely voters who say that are “alarmed” by the election, Clinton holds a 50 percent to 34 percent lead over Trump. For the 21 percent who said they were “excited” about the election, Trump had a lead over Clinton, 69 percent to 28 percent. “This could be evidence as to why Trump has such enthusiastic crowds,” Paleologos said. The Suffolk University/Boston Globe poll surveyed 500 likely voters — and some respondents were blunt about the despair they feel about their presidential choice. Jim Whitlock, an undecided independent voter from Laconia who was surveyed, said he would like to see a “none of the above” option on the ballot. “I sit back and look at this election, and I don’t know what the hell I should do,” Whitlock said.